Results from a randomised, controlled pilot study in 76 infants with acute diarrhoea show that rapid diagnostic testing and Lactobacillus reuteri Protectis supplementation for 60 days was associated with a significant increase in 60-day adjusted standardised height and significantly less recurrent diarrhoea compared with standard care and placebo treatment. The study was conducted in Botswana and the preliminary results were presented at the Infectious Disease Week in San Diego, USA, on 10 October 2015. 'These results are very exciting. Our trial has shown that the administration of L. reuteri DSM 17938 shows real promise to mitigate the devastating effects of diarrhoeal disease in sub-Saharan Africa. Previous probiotic trials have focused on outcomes such as duration of diarrhoea, which are somewhat relevant for families and clinicians, but not nearly as important as a hard outcome such as standardised height, which has been directly linked to stunting, cognitive deficiencies and eventual adult accomplishment,' says Associate Professor Jeffrey Pernica at McMaster Children’s Hospital in Hamilton, Canada, who conducted the study. Diarrhoea kills and disables children. Diarrhoea is the second leading cause of mortality in the world among children under the age of five, as well as a major cause of both growth failure and delayed cognitive development. There is a clear need for improvements in diarrhoeal disease management in resource-limited settings. 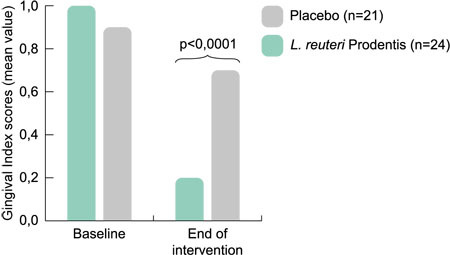 The pilot study demonstrated that the use of rapid enteric diagnostics (permitting timely targeted antimicrobial therapy) and L. reuteri Protectis were both feasible in a resource-limited sub-Saharan African context. These interventions led to significant increases in growth and decreases in recurrent diarrhoea. The next step will be to validate these findings in a trial with a much larger number of children. 'In Botswana, as well as other sub-Saharan countries, long periods of diarrhoea not only causes death but also lead to stunting and cognitive impairments. The results from this pilot study are therefore very encouraging as they indicate that our L. reuteri Protectis could contribute, both in the short- as well as in the long-term, to a better quality of life in these exposed children,' says Peter Rothschild, President, BioGaia.